Litecoin is a peer-to-peer digital currency that brings with it some brand new features like instant and near zero cost payments to anyone in the world, full decentralization and high level of security. Litecoin is an open source global payment system and had no central authority. Since Bitcoin is also called digital gold, Litecoin, one of the great rivals of Bitcoin is called digital silver. Litecoin is considered to be a lighter version of Bitcoin, due to some similarities between then and also due to the increased speed of the blockchain. 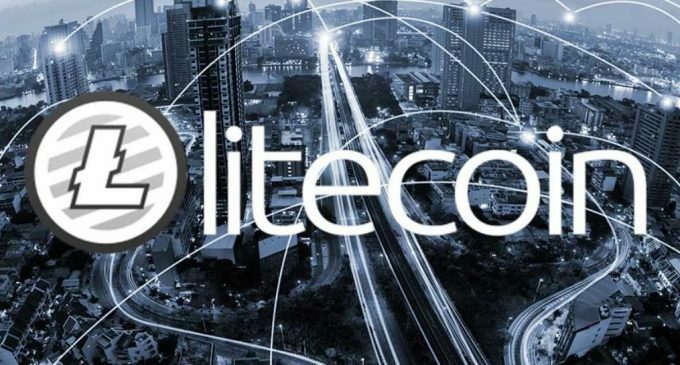 Litecoin, as any other cryptocurrency, tries to solve the problems that the traditional monetary system has and comes with some brand new features that can enable users to buy and sell products and services very fast and for a very low cost. Litecoin was launched on October 7, 2011, via an open-source client on Github, by a former Google employee called Charlie Lee. It went live on October 13, same year and since then it has grown exponentially in price and market cap. By November 2013, the Litecoin market cap reached 1 billion US dollars. In the next 4 years, Litecoin continued to rise and reached $4 billion in market cap and by December 2017 the total market cap was estimated at around $ 20 billion. Currently, Litecoin is among the top five cryptocurrencies on the planet and has great potential for the future. As compared with the Bitcoin system, which can generate only 21 million coins, Litecoin has a limit four times larger than that. The hashing algorithm used by the Litecoin system is called Scrypt and has some extra features than the Bitcoin SHA-25 algorithm. It incorporates the SHA-256, but its calculation is much more serialized and favors large amounts of high-speed RAM. Another key interesting feature of Litecoin is that it can handle larger volumes of transactions than Bitcoin, due to faster block generation. In the case of Bitcoin, we saw a block generated every 10 minutes, while in the case of Litecoin the time required for a block to be generated is just 2.5 minutes. That is why Litecoin is currently considered a lighter version of Bitcoin and it has been developed to counteract some of the flaws of the Bitcoin system. Can you mine for Litecoin? How is Litecoin mined? Litecoin is another cryptocurrency, which, can be mined, similar to Bitcoin. Through the process of mining, the following things are being done: new coins are created, the network is strengthened and financial transaction that is being done in the system is being verified. Since Litecoin uses a different hashing algorithm than Bitcoin, bitcoin miners cannot mine Litecoin with the same hardware. In the case of Litecoin, the mining industry is less developed. ASICs that are used to solve Bitcoin proof-of-work function is useless in the case of Litecoin. There is some advanced hardware, but their price is quite high for most of you, that is why the best hardware you could is graphics cards. In terms of the actual mining process, Litecoin uses the proof-of-work, exactly like Bitcoin, which makes mining costly in terms of energy and time. Miners check incoming transactions with the previous ones and if no double-spends are detected, a new block is created on the blockchain. In terms of rewards, originally, 50 litecoins were issued for each block, but that some will halve with time so the 84 million litecoins will never be exceeded. Where can I buy Litecoin? The best way to buy Litecoin is through a cryptocurrency exchange platform. This kind of platforms had become popular in the last few year, with the appearance of more and more digital coins. Users across the globe need to change their coins for other ones or for fiat money and the exchange serves that need. Some of the most popular Litecoin exchanges are Bitbay and Changelly. Before you decide to open an account with an exchange broker, you should document yourself and find out more about them. We have a dedicated page for exchange brokers and you can check their website as well. How can I sell my Litecoin? There are times when you will want to cash in and exchange Litecoin for fiat money. Or, you just want to sell your coins for another cryptocurrency. The exchange brokers represent the best way to do it in the case of selling Litecoin as well. Feel free to check information about the exchange before you decide to open an account with them. Not all exchange brokers have support for Litecoin, as you will find from our dedicated exchange brokers page. Which Litecoin wallet to use? You will definitely need a cryptocurrency wallet in order to store your private keys. In terms of hardware wallets, two of the most popular that have support for Litecoin are Trezor and Ledger. If we speak about online wallets, Exodus is a desktop wallet that has support for a wide variety of cryptocurrencies, including Litecoin. Another wallet provider you could watch is Jaxx. Make sure to choose a wallet provider that has support for Litecoin. We have a dedicated page for wallet providers and you can check if for free at any time. If you are not interested in mining Litecoin or if it is too expensive for you, a better alternative is to trade Litecoin via an online broker’s platform. With the rise in popularity of cryptocurrencies, online trading brokerage companies have included the most popular cryptocurrencies on their trading list. You can find a list of the most popular crypto trading brokers on our website as well. Make sure to check their websites as well and see what instruments they have. Some of them have dedicated trading accounts for cryptocurrencies and that could be something you want.